track how long your employee has worked in each capacity and how much money is due to be paid. The changes will be applied immediately, and the new data will start to get tracked and displayed in your dashboard (see the screenshots below). Example: our fictional employee Brian May is a real multi-tasker: he works as both developer and administrator. The jobs are different, so is pay. That’s why we want to set different hourly rates for them. Here’s how Brian’s stats changed after we did that – now we can see how much he is spending in each of his roles and how much money we owe him for his hard work. 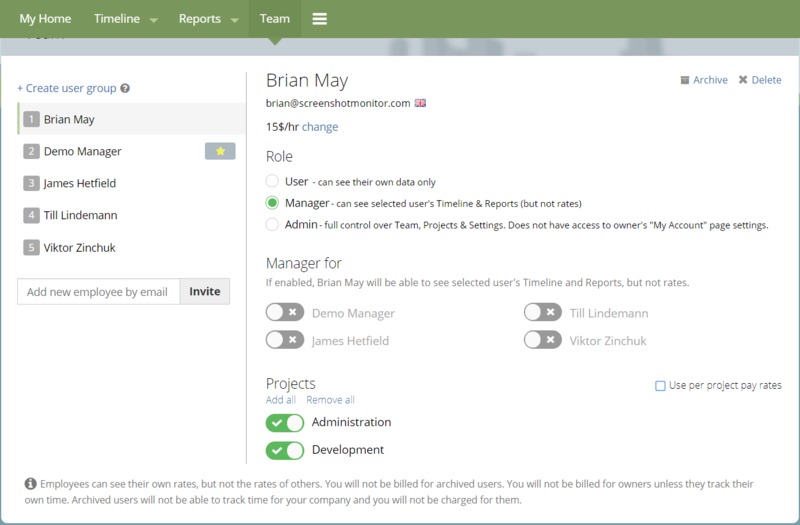 Feel free to try our new feature in a team section of your account and let us know what you think!